If you’ve seen the movie with Matt Damon or read the book by Andy Weir, then this scene from The Martian should be instantly recognizable. 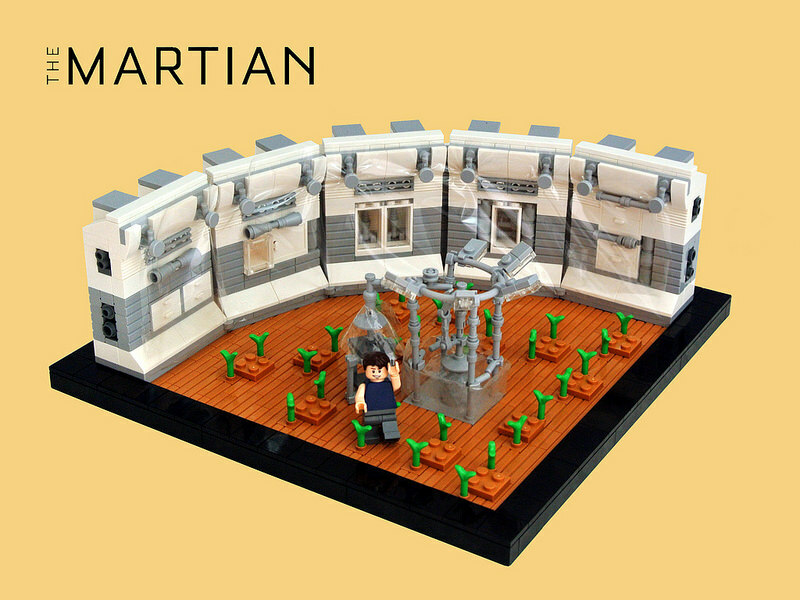 Builder Paul Trach perfectly captured the scene where Mark Watney, the story’s main character, seals the NASA habitat in plastic and cultivates soil to grow potatoes. I love the way Paul used the backside of those masonry bricks to create lined soil for planting. Also, Paul used actual LEGO bags as the plastic for his build. Now that’s some truly epic nice parts usage (NPU)!